The latest versions of Davinci Resolve (from 15.2.2 but maybe since v15?) allow for creating a very powerful “pseudo” ACES workflow using DaVinci’s new ACES Transform OFX plugins. It also allows for using tools designed to work in Davinci YRGB colour Science inside a full fledged ACES workflow within DaVinci. The scope of this post is not to dive deep into all the possibilities of both scenarios but to explore what I found to be a slight discrepancy on the rendering that DaVinci applies to an Alexa LogC image when you create a pseudo-ACES workflow using ACES Transform nodes (in YRGB colour science) as opposed to setting your Colour Science to ACES (ACEScct in my case) on the colour management preferences. I’m no colour scientist, rather a curious cinematographer who is very interested in colour so forgive me if my tests are very empirical and the results not exactly conclusive. I created three testing scenarios to see if the results were the same when processing both a 16bit Linear Grey Ramp and the classic ARRI Isabella.dpx test image. Scenario 1 consisted of Setting Resolve’s Colour Science to ACES on the colour management preferences. Scenario 2 used a “pseudo” ACES workflow using ACES Transform OFX plugins in two nodes. Scenario 3 used Lattice in conjunction with Resolve to create a 128^ sized CUBE LUT in Lattice that concatenates 5 corresponding ACES CTLs and then processing the files using the generated LUT in DaVinci Resolve (I tried processing the DPX files in Lattice but the results were very poor). I analysed the images layered on top of each other on a timeline using the “Difference” blending mode (and looking at a waveform of the result) and I also plotted a waveform that reveals the contrast curve applied by the 3 different methods from the linear grey ramp imeges. The results showed that Scenarios 1 and 3 produced virtually identical results with minor difference that I’m chosing to attribute to Resolve’s LUT rounding issues as it’s not using mathematical transforms but a LUT instead. This image Shows the two curves layered on top of each other. 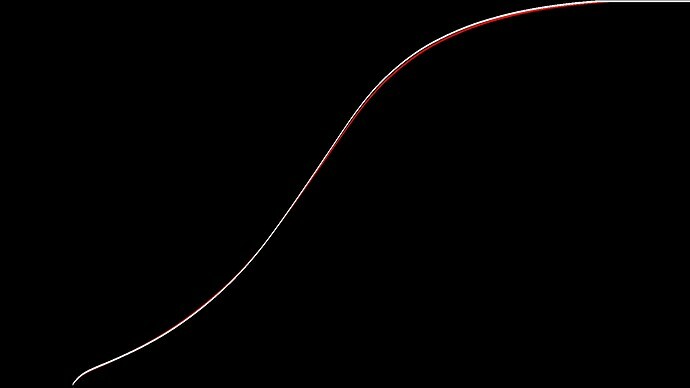 The Curve in red represents Scenario 3 and the curve in white Scenario 1 notice the difference on the upper part of the contrast curve. The difference that exists is barely perceptible in real world images and thus I hadn’t noticed it before when testing the “pseudo” Workflow but with these tests I now realised it’s there and it’s really bugging me. This testing only proves that there is a difference in DaVinci’s processing when using the specific ACES version, IDT and ODT combinations I didn’t test any others so I won’t assume anything. Scenario 3 is creating a 128sized CUBE LUT in Lattice that concatenates 5 ACES CTLs and then processing the files using that LUT in DaVinci Resolve. Have you tried with a different IDT? ARRI IDTs have a slightly different LogC to linear transform at different EI settings, but you don’t get to select the EI when choosing “Alexa” as the Input Transform in Resolve (or most other grading systems). I wonder if ACES mode, and the OFX ACES Transform use a different EI version of the LogC curve? The difference is minimal, and as soon as you start grading, the changes you make are far more significant. But when you want different pathways to match exactly it can be frustrating. 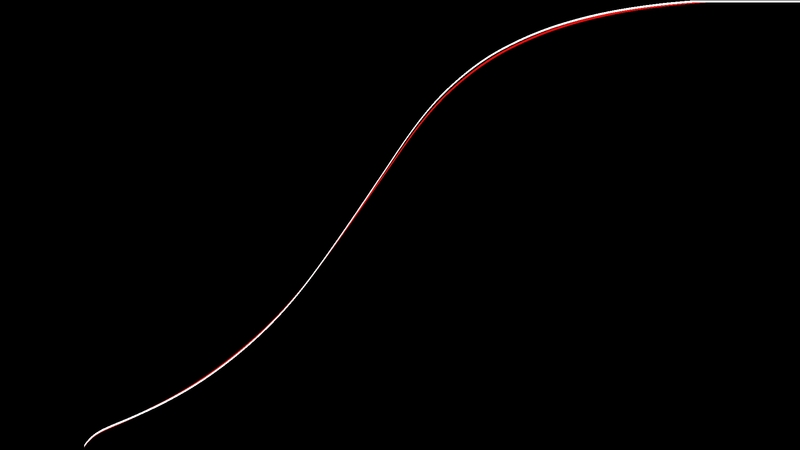 Most other cameras use the same log curve at all EIs. Hi Nick, no I haven’t tried other IDTs, I’ll probably give it a go tonight when I have a break. Indeed the differences are minimal and as per the post, when I put the adjustment on real world images and compared stills from the “pseudo” ACES workflow to the ones from a normal workflow I couldn’t tell the difference. Only by looking at the curve and layering images with a difference blend mode did the change become apparent. I wonder why the OFX plugin would use a different IDT than the Colour Management system though? Seems a bit odd specially since you are not given a choice. Anyway, that’s a good insight and I did notice that ARRI has more IDT versions than any other camera at the ACES repository. I’ll have a look and post more results later. Hi Nick, so it seems you were spot on the right track. I did the same batch of tests but this time trying to find some more unambiguous IDTs. I ended up testing both IDT.Sony.SLog3_SGamut3Cine and the Blackmagic Design Film IDT and with them, indeed there is no difference whatsoever in the result. It seems then that the OFX plugin is choosing a different IDT for the Alexa then the colour management system. I’ll try and find out which but at least it really seems to be only an IDT choice issue and not anything else in the chain of operations. Hi Theo, I would like to know if you get any improvement on your method when using Arri? I haver a high budget shortfilm coming and I kind of being the colorist/postpo supervisor. As I work mainly in ACES I wanted to use your method and spice up some stuff between the 2 transforms to help the DP. I’d say you can go ahead and use it. 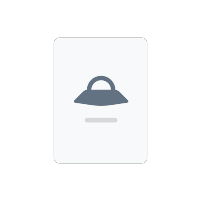 The fact is, even though there is a discrepancy, the difference is so minor as to be almost invisible perceptually so I wouldn’t really worry about it. As per Nick suggestion above, I believe the difference was really only the transform node using a slightly different variant of the Alexa IDT but since you are in a float point environment it’s really not an issue. Do bear in mind that if you are traveling to smaller colour spaces and depending on the adjustments and transformations that you are doing there, you could possibly clip data before you travel back to ACES. Just make sure you do some testing and that it works for you. I do think the ACES Transform nodes are pretty rock solid though and I’ve been testing/using them for a while. Thanks Theo, mainly I will use it, to make a viewing LUT for the shooting with 1 underexpose between the transforms since the dp tends to go extremely low to the point of crushed blacks. If you never tried, Lattice has a great tool for generating precise exposure adjustment LUTs (which can be very high resolution 1D LUTs) for most colour spaces/gamma pairs including ACES. I know about lattice, I’m planning on VM my windows machine only for it!!! I did try the method and I also compared with the Luts provided by Antler Post I didn’t saw any big difference. We used it on the shooting and It worked as intended. 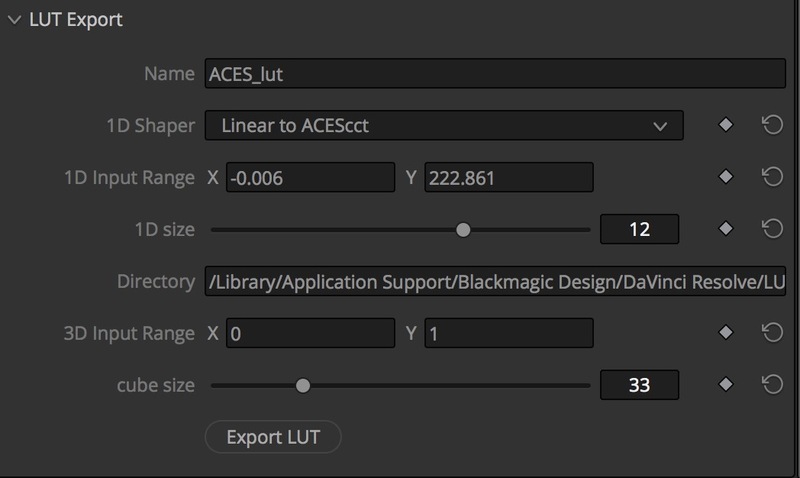 You can export DCTLs and LUTs from within Resolve using ACES 1.1 OFX Plugin. Exposure can be adjusted too.